Visit the Home of the $500 Down Used Car Lots in Phoenix, AZ and Mesa, Arizona. We have some used cars as low as $500 down for those with poor credit, bad credit or no credit in Phoenix. We’ll get you into the car of your dreams! Cactus Jack's Auto is the largest Buy Here Pay Here Auto Dealership in Phoenix, AZ. With 8 used auto dealerships in Phoenix, we have a wide variety of used cars, used trucks, used vans, used sedans, used AWD 4×4 pickup trucks and crossovers for you to choose from regardless of your credit score. Some cars as low as $500 down, so if you’re in Phoenix, AZ or Mesa, Arizona and looking for instant used car financing, then you have come to the right spot. Cactus Jack's Auto has 8 convenient locations around Phoenix, some with $500 Down used cars. If you are looking for the best deals on used cars, then stop by Cactus Jack's Auto Phoenix Used Cars. We offer the unbeatable bottom-line prices. Our stress-free purchasing experience is part of the reason why we pride ourselves in being the best used car dealer in Phoenix, Arizona. Cactus Jack's Auto is your premier Arizona used car dealer! Locate one of our dealerships, we are looking forward to serving the automotive needs of customers from Scottsdale, Mesa, Glendale, Chandler, Tempe, Phoenix and the greater Phoenix area. 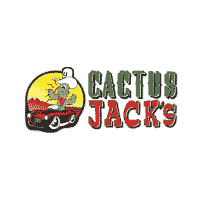 If you have any questions, reach out to our staff, or check out our Cactus Jack’s FAQ.